Small Business Solutions - DE Inc.
Our small business solutions help you focus strategically and execute tactically to fix the challenges you experience as a business owner. Do any of these issues have you stuck growing your business? If you experience any of these problems then you’re in the right place. DE Inc. offers a variety of small business solutions meant to help you grow a more profitable business. Our small business solutions are designed to help you grow your business to the stage of self-sustainability as a result you’ll experience the independence and financial freedom you dreamed of when you started your business. 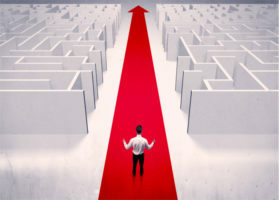 As a business owner, does successful business growth elude you? The most common challenges you face stem from lack of discipline and accountability. SPARC provides greater discipline and accountability around business growth which helps you achieve more profitable business growth. SPARC stands for Strategic Planning Action Recovery Cycle and is our strategic and business planning framework. It is based on two decades of helping business owners like you achieve the independence and financial freedom you want. TYRE allows you to more rapidly reach your revenue and profitability goals, as a result you’ll deal with fewer fires growing your business. 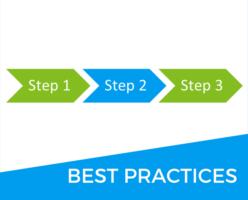 This small business management model helps you manage proactively. Use your operational activity and efficiency data makes you proactive, so you’re not reacting by managing from your historical financials. Owners have gotten 50% plus swings in there revenue and profitably just by applying TYRE to their small business management. Too often business owners don’t develop a plan because they think it’s just a formal document. In fact, your business plan is just the output from one of the most critical processes in your business! A business plan provides the discipline and accountability you need for business success. The right business plan can give you the independence and financial freedom you dream of, in less time than you ever thought possible. 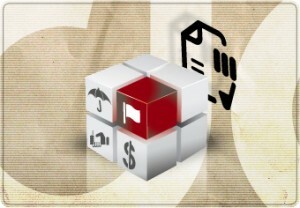 If your budget is tight, then our DIY online platform is a cost-effective small business solution. Apply SPARC using our proprietary SPARC Roadmap which leads you step-by step through the business growth strategy resulting in a self-sustaining business. You’ll learn and apply the principles of SPARC and TYRE to your business while becoming part of our community of business owners putting the power of SPARC to work in growing their business. Do you struggle implementing business systems and processes to make your business more efficient and scalable? 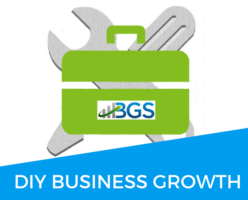 Our BGS resources let you leverage all our knowledge from dozens of small businesses just like yours. The result is faster outcomes in growing your business. Access all the small business solutions we’ve developed over two decades as a client, which allows you to quickly implement fixes to your business systems and processes. These are part of our coaching, consulting, and our DIY platform. Do you need to build your sales team, develop your marketing systems, scale your operation, create more effective accounting systems and controls, but not sure how to start? You have the perfect situation to use business consulting. This small business solution immediately puts six-figure executive talent on your team without the cost of hiring an executive. This is a cost-effective method to begin working on your succession plan and building your management team. Without these pieces in place you’ll always be chained to your business which makes it worth less than you’ll need to retire! No matter what’s got you’re stuck growing your business, business coaching can help. All great winners have a coach because a business coach provides discipline and accountability necessary for success. Our coaching is delivered using our SPARC business growth framework which gives you a powerful one-two punch for faster business growth. 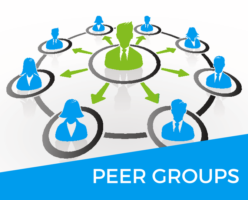 A 2017 study shows company’s whose owner participates in a peer group grow 2.2 time faster compared to all small and medium-sized businesses. Research reported by the Edward Lowe Foundation also shows “entrepreneurs learn better and faster from one another.” Therefore, if you add a peer-group to your management model it will provide you more discipline, focus, and accountability in growing your business. Pair that with our SPARC business growth framework, and you can rest assure this powerful small business solution can help you achieve the business success you seek.